The verdict is in – the DCS Hornet is insanely fun – might you be a backcountry aviator in fighter pilot clothing? 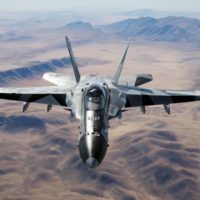 With the recent release of the DCS: F/A-18C Hornet it was immediately evident to me that despite the technical marvel that Eagle Dynamics and Belsimtek have brought to us, the essence of the Hornet is the flight experience. Yes, it is early in the process, with a lot of functionality and teeth yet to be added, but I’ve very much been enjoying this first few weeks of just pure, unadulterated flying that the community has been reveling in. Flaps, gear, throttles, hook, launch bar, AOA, and just enjoying the process of flying around the boat. Have bombs been dropped and missiles fired? Sure. But overwhelmingly during this initial period, early adopters have been having a blast tooling around the carrier, learning the launch and recovery techniques, exchanging knowledge between rookies and veterans, and just….flying. As an old time simmer, it is a beautiful thing to witness. My flight simulation infancy, fortunately, was a process of nearly simultaneous discovery of both civil aviation and combat flight simulation. 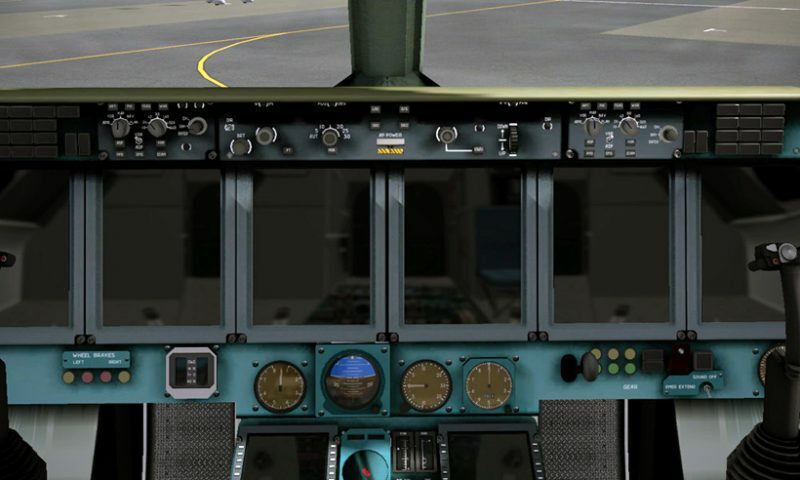 SubLogic Jet for the IBM competed directly with titles such as Flight Simulator II for the Commodore 64 and Flight Assignment ATP. Followed shortly by the evolution of the Microsoft Flight Simulator series and MicroProse and Jane’s simulators, my simming career followed a zig-zagging path bouncing between civil and combat flight simulations. That indecisive path has remained true for over thirty years as I’ve enjoyed all types of simulators. 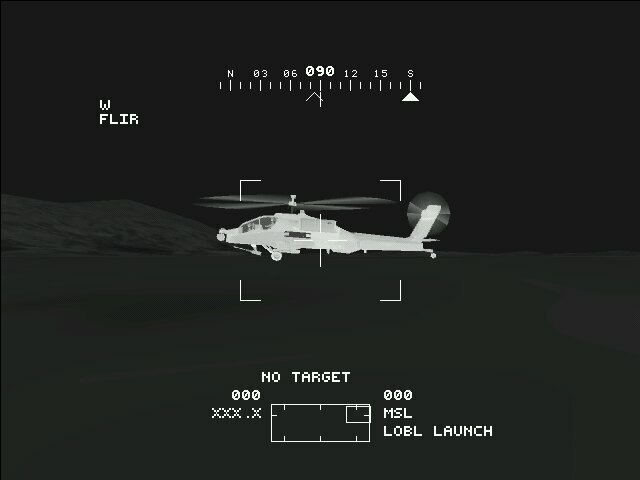 The foundation of all combat flight sims are the skills that allow for you to put weapons on the target. That means successfully navigating to and from the operations area, precision flying for things such as tanking and weapons delivery, and even instrument flight procedures for all phases of flight. Sprinkle in systems failures, combat damage, and the not-so-small factor of the enemy trying to blast you out of the sky, and you indeed have the recipe for exciting times. The release of the Hornet (and perhaps even the Razbam Harrier) has brought piloting skills back to the forefront at least for the short dawn of these modules before they reach full maturity. Countless videos and discussions of Case I recovery techniques have populated the community forums, social media, and video hosting sights. I’ve spent more time watching and enjoying videos than actually flying the module. Though the evidence might not all be in, I do feel there is an opportunity for crossover for those that are clearly enjoying the “stick and rudder” aspect of the Hornet module. The appeal of putting your jet into a few hundred feet of arresting gear with a pitching and rolling deck is not too far removed from the everyday activity of bush pilots flying all over the globe. Yes, there are differences, but the stick and rudder skills, judgement, and experience gained through repetition, as well as the harsh consequences of error, are very similar. Precise flying, an awareness of local conditions, poor weather, lack of navigation aids, hostile terrain, and austere field conditions (to put it kindly) can all combine to give that heart rate increase that you’ll recognize from a stressful combat flight simulation mission. 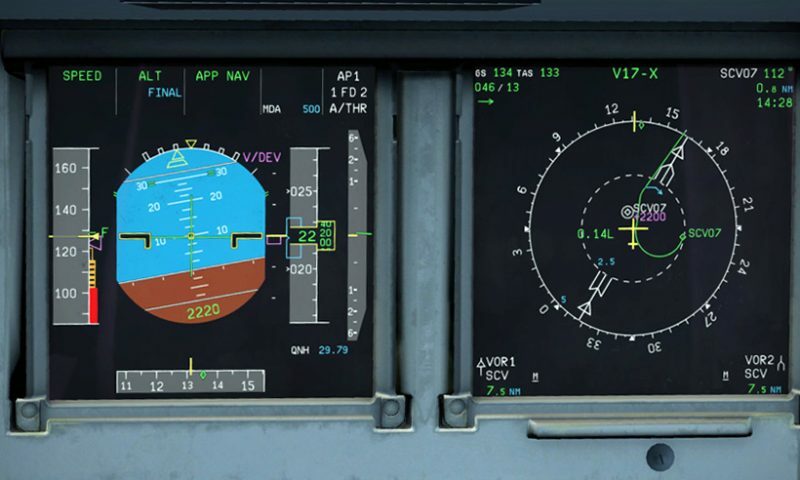 And with a wide variety of locations, aircraft complexity and realism, and weather engines available for the popular civil aviation simulators, you can scratch that itch with a high degree of variability. Whether you are flying a single engine piston into a remote Alaska hunting camp, or a twin turbine to a dirt road in the middle of the desert, the unique and diverse challenges of bush piloting are attractive in the same ways as carrier landings are, and I’d argue are much more variable and require more adaptive flying skills. For bush flying fans, there is a wealth of both freeware and payware content (with regards to both scenery and aircraft) available for all of the three big simulation platforms: X-Plane, FSX, and P3D. As well, it might be a good idea to keep an eye on Deadstick Simulator, a dedicated bush flying title that is on the horizon. While FSX (and FSX-Steam Edition) is getting a bit dated, there are still a ton of quality add-ons that will allow you to carve out a bush piloting career without spending a ton of money. The default program comes with a superb Maule M7-235C aircraft equipped with skis or wheels to set you on your way, or you can give the default Cessna 208 Caravan a look. Both are exceptional short field performers and FSX even ships with a few bush pilot adventures that are very well choreographed and fun to fly. For the precision airwork that bush flying demands, it is hard not to like X-Plane for the extremely responsive flight and engine modeling, as well as the superior ground handling feel that is an important part of the bush flying experience. Sloped, uneven, and arcing runways carved out of the jungle or forest are often the destination when flying backcountry missions. The ability to precisely place your aircraft with a true feeling of aerodynamic limitations is where X-Plane excels. Bush pilots swing into action each day all around the world, in the most picturesque, yet challenging locations and environments. They typically carry passengers and cargo into remote areas that are either difficult or impossible to access via normal modes of transportation. Rugged terrain, poor local infrastructure, or just the vastness of the geography are conditions that lend themselves to backcountry flying. Bush flying can take the form of aid groups, air ambulances, government subsidized transport, or charter, cargo, and passenger airlines that have carved out (literally) a niche air travel market. Our simulators allow us to explore many different regions of the world with different types of equipment suitable for the job. Bush flying conjures up the image of the single engine taildragger plopping down on a dirt runway – but don’t let preconceived notions dissuade you from taking on much larger and complex aircraft. Bush aircraft are often equipped with high flotation tires (tundra tires) that spread the weight footprint of the aircraft over a larger surface area. As well, skis, floats, and amphibious configurations are commonly seen in the backcountry. Even large aircraft with multiple wheel bogies can utilize rough strips at heavy weights. Aircraft like the C-17, C-130, IL-76, A400M, and C-27 are capable of flying into mid-sized bush strips. The standard bearer when it comes to bush aircraft is the De Havilland Canada company with their legendary lineup of bush aircraft that include the DHC-2 Beaver, DHC-3 Otter, DHC-4 Caribou, DHC-5 Buffalo, DHC-6 Twin Otter, and DHC-7 Dash 7. De Havilland aircraft have supplied goods and passenger transport the world over for nearly seventy years. Other popular bush aircraft include the Quest Kodiak, Cessna 185, Cessna 206/207, Pilatus PC-6 Porter, and a bunch of others. If you can stick tundra tires on it, and it is somewhat STOL (Short Take Off/Landing) capable – it can be a bush plane. It helps to have rugged construction, good load hauling capability, and excellent slow speed handling capabilities. Aircraft can be as low tech as a steam gauge driven Cessna or as high tech as a glass cockpit Kodiak. A moving map display and terrain awareness systems are nice features when flying in areas with a lot of possible dead ends. Hornet and bush flying..similar, but different.. The excitement of bring the Hornet back aboard the ship is due to the very dynamic nature of the pattern, the quest for precision, and the ever present challenge of flying an “OK” pass to a three-wire. While wind, ship speed, sea state, and aircraft weight all factor in to carrier landings, there is a standard entry, pattern, and approach that Hornet pilots will strive for. So in some ways, Hornet landings are a quest to fly a known profile precisely that will end up putting you in a good position to have a chance at coming aboard safely on the first pass. Bush pilots, on the other hand, get quite a bit more variables thrown at them in that no two airstrips are quite the same – each requiring a different approach. Obstacles, runway slope, runway condition, and even surprises such as wildlife appearing suddenly will keep bush pilots on their toes. Some runways are so tight that there is no go-around once you reach the point of no return. One way airfields may not allow for a choice for favorable winds. Local knowledge, experience, and a natural ability to deal with risk and make good decisions are the traits that keep bush pilots alive despite extremely challenging circumstances. As well, most bush strips are not served by instrument approaches, requiring visual flight conditions that allow for finding the strip and making the approach. 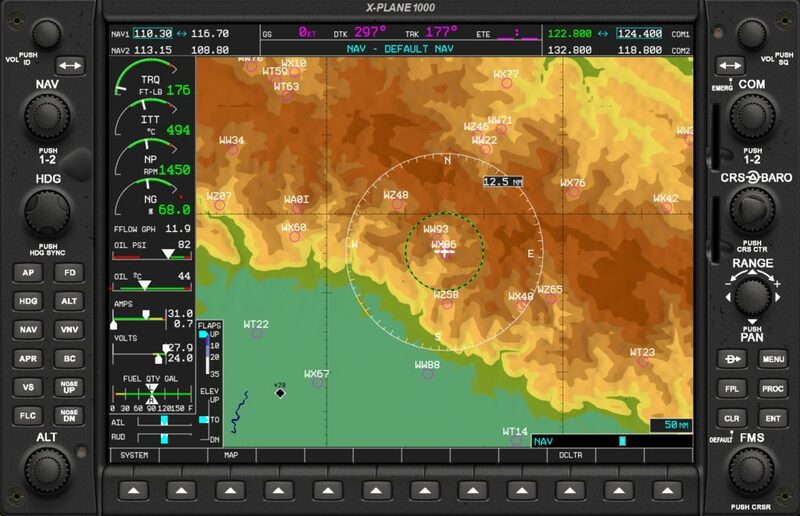 Some bush pilots develop their own GPS waypoints that can help them set up for landings in marginal conditions, but these are not true instrument approaches and that technique should be reserved for those intimately familiar with the local area. It has been my experience that my most memorable sim moments were ones that provided a challenge that required a healthy mix of luck and skill to accomplish. When I first experienced the dynamic and exciting flight model of the original Su-25T for LOMAC, I knew that it would be an awesome aircraft to fly and fight. Just landing the -T remains one of the more exciting things to do in DCS World. Other modules such as the MiG-21 have been similarly fun from a stick and rudder aspect. And of course, helicopters are always a thrilling ride where half of the battle is surviving the flights to and from the battlefield. While I enjoy the switchology and proficiency required to circle near a target, designate it with a targeting pod, and drop precision guided weapons, much of the fun for me in combat flight sims remains the flying portion. So it is no real surprise that the Hornet should appeal to someone like me. 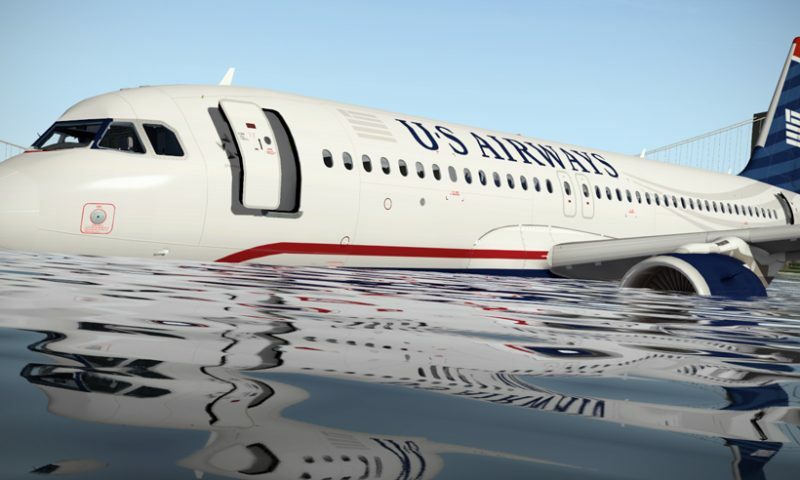 If you enjoy good old fashioned stick and rudder flying, you might want to consider dipping your toe into a civil aviation flight simulator and trying out the thousands of challenging approaches to airfields all around the world. While you won’t earn any medals or be able to stencil kill markings on the side of your fuselage, you can take satisfaction in a job well done when you squeeze your cargo and passengers into an impossible strip of mud sliced from the jungle. A reminder to check scenery compatibility for X-Plane 10/11 and FSX and P3D v2/3/4 since not all scenery packages are compatible with newer sim versions! In a way, it’s not «just» a module. In part because of the recent version merger and the release of the PG map, no doubt. But it sure has got that «Big study sim» feel about it. Like when we all got our grubby little fingers around that latest Janes sim, as we tore its cardboard box down from the shelf. Imagine that! We actually went to a physical store, and bought boxes with discs in them…! That is something that has been missing with these modular releases. Now as we all know, we didn’t always get improvements in every area, especially in regards to AI, MP ability, and campaign design. There were many instances of the wheel getting reinvented to a lesser degree than the previous title, which left many disappointed and scratching their heads. So with the pattern established by SpecHolo and Falcon 3, many wanted the Holy Grail of a modular sim where you could add to it without needing to replace the good work done before. F4 was to do it, but collapsed. Noises were made about others, like the oft-maligned and mocked Fighter Ops. Really the original Il-2 FB was the first to really accomplish it, but its scope was WWII only and the design was limited to that era. You could go earlier, but realistically Korea was the latest conflict that would work. The Black Shark DCS release was supposed to introduce the concept for modern jets finally, but as we all know THAT took multiple releases to shake out. We needed to get past A-10C, BS2, and FC2 before the release of DCS World really did it. Of course, by then the fact that new modules were being released for a DX9 title with a map that was largely unchanged from 2010 was showing the aging of the foundation and the major potential weakness with modular releases. 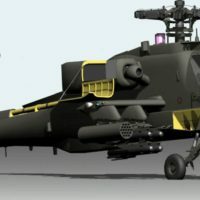 We needed the 2.5 release that brought the DX11 improvements, mentioned before A-10C even came out, and the updated Caucasus map, and the ability to finally have other maps, before we really saw something many of us had been waiting for since 1993 when Hornet and MiG-29 showed us how it COULD work, ironically just as the Il-2 successor series has restored that possibility for its heritage. This came out longer than I thought, but again 25 years is a long time to wait! Like when we all got our grubby little fingers around that latest Janes sim, as we tore its cardboard box down from the shelf. That’s funny. I still remember the box that Microprose F-117A Strike Fighter 2.0 came in. It was all hard and glossy and had cool graphics on it. One of my favorite manuals was the SubLogic ATP one with those huge IFR high charts that I would unfold and plot trips on. I remember getting up in the middle of the night to order the Jane’s F-15E ‘Officers Edition’ by phone, to the US…! In fact, I think I still have most of my old sims, in a box. Wow I never would have figured that Cirrus would have a REAL pilot on it’s staff. Respect!. And to Mr. Simmons a speedy recovery. Wow I never would have figured that Cirrus would have a REAL pilot on it’s staff. He’s taking all those profits from Cirrus and flying a Cub in Idaho. I’d personally choose a Maule…but hey…I like where his head is! Great article Beach, this is the kind of writing I really miss being in the sim community.